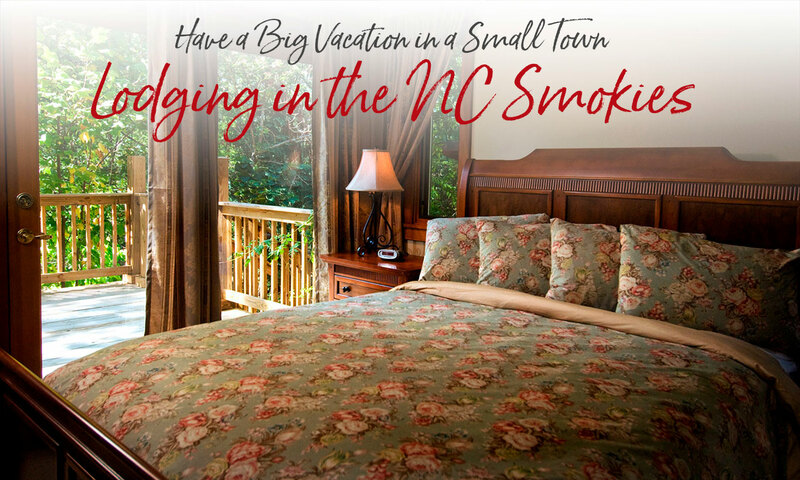 One of the most popular ways to vacation in the Smokies. From national chains to quaint mom and pop motels to mountain resorts. Agencies offering vacation home rentals throughout the area. A Wide Variety of Lodging Choices. All in the Shadow of the Smokies. In the Great Smoky Mountains of North Carolina you’ll find a wide variety of lodging, from familiar hotel chains to unique lodges and inns to mountain cabins and campgrounds. And this directory is where you’ll find the perfect accommodations for your Smoky Mountains getaway. Bryson City is centrally located in the middle of Western North Carolina’s vast outdoor playground, a great spot for dozens of fabulous day trips. Area attractions.